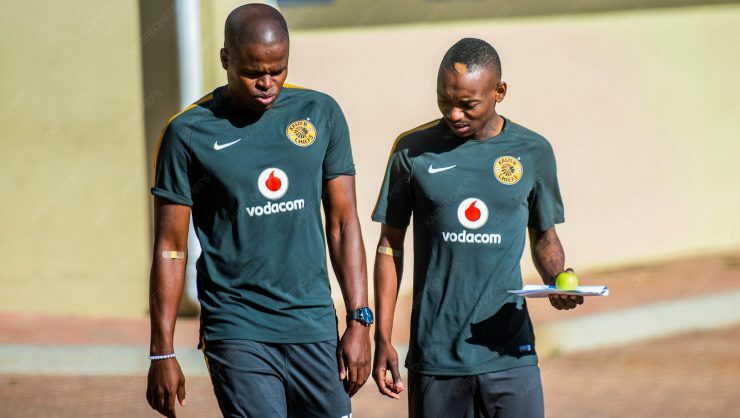 Kaizer Chiefs players Willard Katsande and Khama Billiat at Amakhosi's training grounds in Naturena. Willard Katsande spending time of the bench at Kaizer Chiefs seems to have spilled over into the Zimbabwean national team. Katsande was a notable omission in coach Sunday Chidzambwa’s provisional squad set to face Congo Brazzaville for the 2019 Afcon Qualifier match. The Group G tie is set to be played later this month in Zimbabwe at the National Sports Stadium. Katsande was replaced by midfielder Danny Phiri from Golden Arrows. The Chiefs midfield anchor and former Warriors captain recently came out of retirement to play for his country against Liberia. It was reported that coach Chidzambwa wanted to call up younger players and felt Katsande had to make way for younger players as the former captain is on the wrong side of thirty. Khama Billiat was named in the provisional squad despite struggling with injury at Chiefs, which has seen him miss two games for Amakhosi. Billiat is one of 14 footballers in the Zimbabwean national team who play their club football in South Africa.